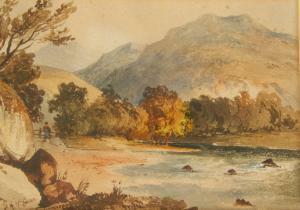 Find artworks, auction results, sale prices and pictures of D.H. Mcewan at auctions worldwide. 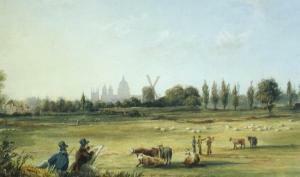 Sketching "A View of London from Blackheath, 1831"
David Hall McEwan was a pupil of David Cox - he lived in south London and exhibited at the Royal Academy from 1836. 19.5cm x 28cm, and another, church scene (2).